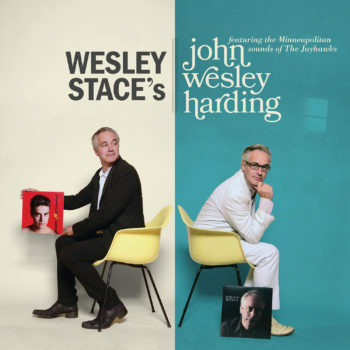 Acclaimed singer/songwriter Wesley Stace will release Wesley Stace’s John Wesley Harding on February 24, 2017 via Yep Roc Records. Recorded with The Jayhawks—Gary Louris, Marc Perlman, Tim O’Reagan, and Karen Grotberg—at Flowers Studio in Minneapolis, the album was co-produced by Stace and Gary Louris. Listen/share the first track “Let’s Evaporate,” written with Chas Cronk from the Strawbs, one of Stace’s favorite bands. The album is now available for pre-order here.